3M Solar Encapsulant Film EVA9100 and 3M Solar Encapsulant Film EVA9110T provide superior PID (potential reduced degradation) resistance and electrical properties, enabling longer module life. 3M Solar Encapsulant Film EVA9110T also provides the additional benefit of higher power output due to its ability to transmit wavelengths below 350 nm. The 9100 series films take module efficiency to the next level, providing low water absorption and high volume resistivity in addition to their better PID resistance. The films are designed for easy manufacturing and are compatible with most existing lamination machines and processes. A wide process window gives manufacturers the ability to adapt the products to different processes, increasing versatility. 3M Solar Encapsulant Film EVA9100 and 3M Solar Encapsulant Film EVA9110T provide durable bonding strength with both glass and backsheets, and also have enhanced UV and damp heat stability. With tunable high transmission, EVA9100 series films help maximize power output, and their resistance to weathering helps provide outstanding reliability and a long service life. Furthermore, excellent dimensional stability helps avoid cracked and shifted cells. This innovative adhesive enables a next generation of fully-automated bonding of junction boxes to back sheets of photovoltaic modules. SikaMelt-9185 IA is a further development in the SikaMelt product range, which is applied in the automotive and other industries. It is a one-component, reactive hot melt with low density. The adhesive is applied at a temperature of +160°C. The fast cooling of the adhesive serves for the initial handling strength and the curing with moisture of the air in a second step and results in an elastomer, which cannot be melted anymore. In comparison to 1- and 2-component silicones or other adhesive technologies, SikaMelt-9185 IA requires less material usage. Because of the high initial strength, the modules can be processed immediately. Time-consuming process steps with curing conveyor lines or buffer zones are not necessary any more. The photovoltaic modules can be rotated for flashing or vertically stacked immediately after bonding of the junction box. Thereby time savings within the production process of 45 to 60 minutes can be reached. Beside the optimization of the production process, SikaMelt-9185 IA offers an improved mechanical performance in comparison to silicones and requires less material usage. A smaller geometry of bonding as well as a slim thickness is sufficient to reach the same stress distribution as if the bonding is worked out with silicones. Therefore a relevant cost reduction can be achieved. "The solar industry is faced with cost pressures and a high level of automation; therefore solutions for unit cost savings are demanded. Sika has met these requirements and developed SikaMelt-9185 IA as an adhesive for fully-automated bonding of junction boxes. The good adhesion on nonpolar substrates as polypropylene, polyethylene and glass are further properties of the adhesive. It can be used with the potting compound Sikasil AS-787 SL as a proven system. SikaMelt-9185 is free of isocyanate and contributes to the sustainability strategy of Sika. British company GR2L led by Dr Rob Grant FRSC has created a proven process for recycling argon and reducing this element of the production cost of solar ingots – a world first. The ArgonØ ™ recycles more than 95 percent of the purge gases back to the process at purity levels that exceed the Semi PV6-1110 requirements. Contamination in the thousands of ppm is typically reduced to less than 1 ppm. The ArgonØ ™ offers significant financial benefits it will show a return on investment in 2-3 years and is capable of saving a mid-volume ingot producer millions of dollars. It also offers environmental benefits reducing the CO2 footprint of a typical vacuum furnace by 3-5 tonnes per annum. Importantly ArgonØ ™ offers solar ingots manufacturers reduced dependence on traditional gas suppliers improved security of supply of argon and relative protection from price fluctuations. GR2L’s ArgonØ ™ is the first commercial product to utilise a new breed of purification technology based on chemical looping combustion it has been tested extensively in facilities in South Korea and Taiwan and proven successful in the cost effective recycling of argon. The compact point of use ArgonØ ™ can typically service up to eight vacuum furnaces subject to a maximum recycle flow limit of approximately 15 Nm3/hr. The ArgonØ ™ which uses a minimal amount of electricity can be retrofitted with relatively little disruption to production (hours rather than days and does not need to be in close proximity to the furnaces it is serving so can be situated where space is available. The ArgonØ ™ recycles more than 95 percent of the purge gases back to the process at purity levels that exceed the Semi PV6-1110 requirements. Contamination in the thousands of ppm is typically reduced to less than 1 ppm. The ArgonØ ™ is a compact point of use system which can be retrofitted with minimal disruption as opposed to centralised systems which need to be built in b It recycles more than 95 percent of the purge gases back to the process. The ArgonØ ™utilises a new concept in gas purification that can remove impurities at levels of up to 50000ppm to better than 1ppm. In Neuenstadt am Kocher (Baden-Wurttemberg, Germany). EnFa - The Energy Factory is not connected to the public grid and solely uses renewable energies. The photovoltaic and storage systems for the off-gridpower supply were provided by IBC SOLAR AG, one of the world's leading system houses for photovoltaics. The EnFa is already showing how it is possible for Germany to solely be supplied with renewable energy by 2050. The complex was completed following a construction period of nine months. EnFa–The Energy Factory will supply the users of the over 350 square metres of production space and approximately 600 square metres of office space solely with renewable energy. There is no connection in place to the public grid. The entire energy centre has been built on a surface area measuring around 30 square metres and represents the core of the self-sufficient building complex. "The motivation for building the EnFa came from the immense discussion about the feasibility and the financing of the energy turnaround in Germany," explains the project owner and graduate engineer Friedhelm Widmann. "I wanted to show that we are already able to provide a stable and financially viable energy supply which is solely based on renewable energy in 2014. The EnFa is showing today how it is possible for Germany to be supplied solely with renewable energy by 2050." The electricity production costs for EnFa speak for themselves. Depending on how the energy is produced, Widmann expects permanently low prices of between 6 and 20 cents per kilowatt hour (kWh). These costs are considerably lower than the prices German energy providers are currently charging. The self-sufficient energy supply of EnFa is based on a mix of different power generation and storage methods. A photovoltaic system with 112 kilowatt peak (kWp) ensures consistent energy production throughout the day. The modules used for this purpose have been aligned at the different cardinal points on the roof and on the façade. Solar energy that cannot be consumed directly will be charged into a 400 kWh battery storage system. A combined heat and power plant that has the electrical power of 40 kW and is being fed with biogas will be used if the solar energy is insufficient on days where there is low radiation. Photovoltaic and battery systems have been supplied by IBC SOLAR, one of the world's leading photovoltaic system providers. The share of photovoltaic systems in the overall energy supply of EnFa is at around 80 percent. As it is not just power that is required for a self-sufficient supply, the offices are cooled and heated using a heat pump. Thus, offices with high room temperatures are a thing of the past: especially during summer when a cooling system is required, the sun shines with high intensity and in doing so supplies the heat pump. On the other hand, if there is not enough solar energy during the winter months to heat the EnFa with the heat pump, the combined heat and power plant will support the system as additional energy supplier. When it comes to using energy, EnFa goes one decisive step further. The company- owned electric vehicles are charged with energy on site using three electric charging stations: "The feeling you get from driving electric cars that are powered solely by renewable energy is fantastic," explains Friedhelm Widmann. And it is cheap: a 100 kilometre journey with the electric car filled with green electricity costs only 85 cents, while the same journey with a traditional petrol-operated car incurs a hefty sum of 9 euros. Generators and consumers coordinate with one another by using software that was specially developed for this project. The graduate engineer Widmann has incorporated the knowledge he has gained from 20 years of professional experience into this software. The software has access to a weather forecast extending over three days, uses this forecast to calculate the heat and cooling requirements for the building and manages the various room temperature configurations, the use of interruptible loads, the optimised charging of electric cars and the process of stabilising the self-sufficient power network. In a prototype way, EnFa –The Energy Factory shows how a closely linked and intelligent power network should work. Power Clouds Inc. started a project founding plants driven by sustainable power around the world thanks to the contribution of corporates and public institutions. “Zero Emissions Initiative” is the name of the new challenge thrown by the company together with the “Power Clouds Project” that last year got the Solar Industry Award – in the category Project Development. Zero Emission is a voluntary initiative that invites the biggest responsible for CO2 emissions on the Planet – such as public and private companies- to compensate the impact generated by their products and services by recognizing them as 100 percent replaced by renewables. The company involved buys the certificate to be applied on each product or service. 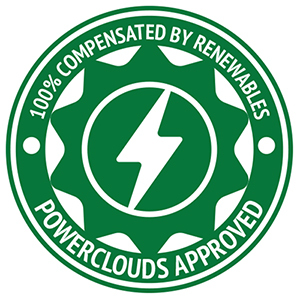 The certification is issued after calculations made by Power Clouds Inc. according to a protocol that meets the highest international standards concerning this field. It will prove that the impact in terms of CO2 has been compensated by a number of plants powered by renewable sources built by Power Clouds. The complete solution is really innovative to finance the promotion of renewables and fight climate changes by directly involving public and private companies. Zero Emissions Initiative is the alternative to the conventional funding aiming to involve private businesses and public organizations against climate change. That will be possible through a awareness-raising and compensation process in concerning those emissions that are the main causes of Global Warming. The innovation is in funding plants construction indirectly by getting the participants into a network of benefits and best practices easy to spread on a global scale. The contribution in this fight is given by building renewable energy facilities thanks to the profit of the certifications sale to those companies that compensate this emissions. The plants produce clean energy replacing the one coming from fossil fuels sources and that goes into the national electricity grid. Each participant will know exactly the role he has played in the plant development by being associated the necessary amount of Watts to compensate each product/process/service emission. Power Clouds thinks that the only way to face climate changes is involving the direct responsible of gas emissions: people corporates public and private organizations. Obviously there already are companies promoting project following the same steps but Power Clouds Inc. is different. Its the company that combines all those steps together in a single project that leads emissions producers to become renewable technology promoters. Also all the participants are going to take part into a network of virtues partnership business opportunities. Renewables group Acciona and partner Saft completed a 1 year pilot project on integrating a 1 MW lithium-ion battery onto an existing solar array in Spain, marking the first time such energy-storage technology has been used at a utility-scale PV installation in Europe. The battery was capable of storing and then discharging 560kWh of electricity. The outcome of the project resulted in the design of SCADA systems for PV+ storage power plants with the functionalities of power ramp control, primary and secondary frequency regulation, voltage regulation with active reactive power control and active power factor correction of the power plant. Acciona also developed algorithms to control the power ramps of the PV plant with lower use of the battery in order to increase its life. SolarReserve, a leading developer of utility-scale solar power projects and advanced solar thermal energy storage technology, is changing the way we generate electricity around the world. SolarReserve’s experienced team of power project professionals has assembled an extensive global development pipeline of 6.6 gigawatts (GW) across the world's most attractive, high growth renewable energy markets. South Africa is a country at the forefront of the solar energy revolution. Through its well-structured Renewable Energy Independent Power Producer Procurement Programme (REIPPPP), South Africa issued a call for renewable energy solutions that set a high bar and included stringent requirements for projects bidding into the program. SolarReserve has been present in South Africa since 2010 and has benefitted from the successful award of 346 megawatts of capacity under the first three rounds of the REIPPPP. Three of the projects have completed construction and are in operation, totaling 246 MW of installed capacity: the Lesedi, Letsatsi and Jasper Projects. In addition to helping South Africa meet its critical electricity needs as well as the environmental benefits in helping the country move from a primarily coal based power system to renewables, these three solar photovoltaic (PV) projects created thousands of direct jobs during the construction and operations phase, as well as indirect and induced jobs across the supply chain. These three plants combined are powering up to 210,000 South African homes and are providing significant long-term economic benefits to the region. Across sub-Saharan Africa, shortages of electricity are affecting economic growth by as much as 4%, according to the World Bank. In South Africa, Eskom, the country’s utility company, is battling to meet the country’s demand for power due to its growing economy. Power supply in South Africa has been unreliable and access to dependable and consistent electricity has become a challenge. The country suffers from almost daily power cuts, load shedding and rolling blackouts, and therefore the need for additional utility-scale generation is increasingly urgent. In addition, South Africa has historically relied on coal to meet its energy needs, with per capita greenhouse gas emissions the highest in the continent. On the other hand, South Africa boasts one of the best solar resources in the world. 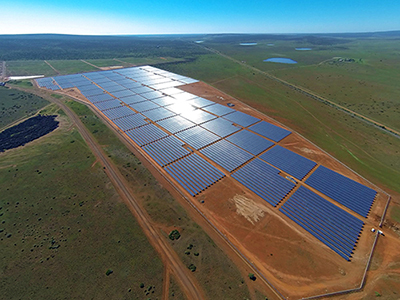 With 246 MW of solar capacity already on-line, powering about 200,000 South African homes, SolarReserve is committed to helping solar energy become a strong part of the country’s energy diversification plan that will help meet growing energy needs as well as reduce reliance on finite sources of power generation that produce carbon emissions. We are committed to long term investment in South Africa, with the intention of growing the local supply chain and workforce expertise in solar power plants. In addition to helping South Africa meet its critical electricity needs with clean solar power, the three PV projects have brought long lasting economic benefits to the region. The Jasper project generated in excess of 900,000 man-hours during construction, with about 800 direct jobs during peak construction. The Lesedi and Letsatsi projects combined generated 2.3 million man-hours during construction, with about 900 direct jobs at each site during peak construction. Additional jobs were generated related to equipment supply, manufacturing, engineering, transportation and other services. A great deal of resource was applied to training local workers who could then take those skills and apply them to other industries or projects in the region. All the projects ensured robust local participation and technology transfer, and were structured to exceed the minimum requirements for Broad-Based Black Economic Empowerment (BBBEE) equality on job creation, local content, ownership, management, procurement, and enterprise development. In addition, all of the projects set aside a percentage of total project revenues for Enterprise Development and Socio-Economic Development, for the benefit of the local communities. Onyx Solar develop building integrated photovoltaic solutions which are used for the replacement of conventional construction materials from different parts of the building’s exterior such as skylights, façades, windows, curtain walls or roofs. Onyx Solar has developed the first Low-e Photovoltaic Glass. It improves the properties of conventional glass. 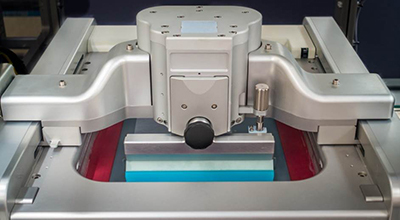 Alongside the VCS 1200 system, Manz's LAS 2400 laser ablation system provides a simple, precise and high-throughput solution for local contact opening of rear side passivation layers. Being a one-stop process, laser ablation offers the lowest cost of ownership for this step in cell production and offers safe wafer handling with the industry's lowest breakage rates. This Low-e Photovoltaic Glass improves the thermal and sound insulation of the building and filters the ultraviolet and infrared radiation, avoiding adverse impact on people, furniture and buildings’ interior. At the same time, it allows to control the indoor temperature, achieving big savings on air conditioning systems and avoiding greenhouse effect so common in glass buildings. Onxy Solar is a business committed to the development of intelligent solutions for the sustainable integration of solar energy photovoltaic in buildings. These solutions contemplate the integration of façades and ventilated roof façade as one of the principle constructive solutions designed with the objective to optimize not only the production of energy but also to make important energy savings for the building. Click here to view the Onyx Solar corporate brochure. 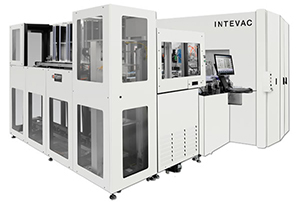 Intevac ENERGi™ is an innovative ion implant system specifically designed to meet the cost, efficiency and productivity requirements of solar cell manufacturing. ENERGi, a continuous flux ion source system, offers manufacturers the most cost-effective, production-proven system. Intevac ENERGi incorporates enabling technologies that have demonstrated improved cell performance and lowest manufacturing cost per watt. Based on our industry leading platforms, ENERGi meets the solar industry efficiency roadmap today and is extendible to enable advanced cell designs and increased efficiency requirements. The system is designed with Intevac’s signature small footprint and excellent serviceability. The SCHMID's GEMINUS bifacial cell technology enables low cost manufacturing of multi and mono bifacial cells featuring over 30 percent higher energy yield (kWh/kWp). It combines outstanding manufacturing simplicity based on standard tools with highest efficiencies on all common p-type base material. The resulting multi crystalline based bifacial module operates at efficiency equivalents of over 18 percent and hence has a 7-10 USc / Wp BOS advantage in comparison to conventional multi modules. Today ́s dominating solar cell concept is based on cells made from crystalline silicon. SINGULUS STANGL SOLAR provides complete automated dry-in/dry-out solutions for wet treatment of Si-wafers in standard and high-efficiency cell lines. Current and future market requirements of machines, processes and materials for solar cell manufacturing sets new standards for cost reduction, productivity, process capability and integrability of wet-chemical production. The ongoing evolution of proven concepts in process management and the integration of innovative approaches are the basis for the development of a new generation of horizontal etching systems. LINEA II is a horizontally working inline wet process platform for cleaning and etching of crystalline solar wafers. The SINGULUS LINEA II combines an advanced transportation system, sustainable and innovative processing modules with proven and efficient chemical etching and cleaning processes. In addition to proven processes like texture etching, PSG etching or RCA cleaning, the focus is on newer applications with one or two sides processes, such as polish etching, emitter etching and ozone-based or ultrasonic cleaning respectively. The highly integrated design, high throughput, high availability and low breakage rate make LINEA II attractive for solar cell manufacturers worldwide. Spire has been providing solar turnkey cell line factories, including business, technology, infrastructure and facilities, for over 20 years. Spire’s solar cell lines are designed to optimize cell efficiency, power yield and throughput while providing lowest operating cost and cost of ownership. Every cell line utilizes state-of-the-art equipment with superior technology producing cell e-fficiencies up to 17 percent for multi crystalline cells and 18.5 percent for mono crystalline cells. Our technological advances are unprecedented in the industry due to long-term commitment to customers as well as providing support and vertical integration from in addition to solar cell line experts. Spire’s fully-integrated inline solar cell lines are unprecedented in the industry. Spire can also provide solutions for module factories in addition to cell. The dual print process for solar cell metallization is widely recognized for its ability to reduce silver paste consumption reduce shadowing losses produce exceptionally thin line widths and improve solar cell efficiency rates. With this technique busbars are printed first with a precision screen and after drying a second print with a stencil produces the fine line collector fingers. ASM AE has achieved 40 µm line widths with this technique. While the benefits of dual print have been well-publicized there are some challenges with this process – particularly as they relate to throughput yield and wafer to wafer consistency. Specifically because of the topography generated by the busbar print stencil to wafer gasketing for the secondary collector array print is challenging – particularly around the busbar feature. Conventionally the only way to work around this is to reduce the print speed so that the squeegee can accommodate for the variations in height. This unfortunately results in throughput reduction and may also contribute to print inconsistencies from wafer to wafer. To address these issues with dual print and to improve repeatability and reliability of single print processes as well ASM Alternative Energy (ASM AE has developed VCM (Voice Coil Motor Printing Technology. VCM Printing Technology is a self-adjusting material deposition innovation that has very low friction levels and is incredibly responsive. Through a unique and proprietary design VCM Printing Technology allows the squeegee head print force to compensate for variations in substrate topography - -all in real time. This development has far-reaching benefits in terms of print quality throughput rates process control screen life and wafer to wafer repeatability. VCM Printing Technology is currently available on ASM AE’s Eclipse metallization platform and will be incorporated into future platform developments. ASM AE's VCM Printing Technology allows for high throughput single and dual print solar cell metallization processes. Previously dual print UPH rates were limited by the inability of the stencil to fully gasket to the wafer. This condition necessitated the reduction in print speeds to accommodate for the variations in substrate topography. With VCM Printing Technology print speeds can remain relatively high and constant as the system automatically adjusts for substrate height variances in real time. This incredibly precise control increases throughput for dual print processes improves wafer to wafer print consistency increases printed line aspect ratios reduces shadowing losses and raises cell efficiency by as much as 0.1 percent for both single and dual print metallization processes. Traditionally the squeegee systems used on print platforms for solar cell metallization function based on pre-set print speeds and pressures. Because the pressure is generally set at a constant rate the only way to accommodate for height variations is to slow down the print speed to ensure good material transfer efficiency. VCM Printing Technology incorporates a novel self-regulating mechanism that enables the print head to automatically adjust for height variations as it traverses over the stencil during the print process. The new ASM AE innovation allows for a constant rate of speed to be maintained while delivering exceptionally high yields among other benefits. ASM AE's VCM Printing Technology is the first and only self-adjusting print head for solar cell metallization. Print speeds can remain high and constant as the VCM Printing Technology automatically accommodates for variations in substrate height in real time. This novel development has numerous benefits for solar cell manufacturers and for the advancement of single and dual print processes. Among the advantages of VCM Printing Technology are: excellent wafer to wafer repeatability (lower standard deviation on fired front side line height and width increased printed line aspect ratios cell efficiency improvements by as much as 0.1 percent reduced print head maintenance requirements ease-of-use through automatic/software-controlled operations (as opposed to manual settings better process control and extended screen life. Despatch's Safire™ firing furnace. Each lane of the dual lane furnace is completely isolated so that load changes or optimization in one lane have no influence on the other lane. Separate top and bottom temperature control and Microzone™ precision provide the flexibility and control required for next generation pastes and cell architectures. The concept of a half-cell module requires a cell separation process which does not induce any significant electrical losses or a reduction in the mechanical cell strength. 3D-Micromac AG has taken the demonstrated potential into account and further developed its existing production systems for photovoltaics in order to meet cell manufacturers demands. The microDICE OTF system uses Thermal-Laser-Separation for cutting of cells into half cells. The separated cells show a significantly higher mechanical strength better edge quality as well as a lower power reduction compared to laser scribing and cleaving approaches. The highly-productive system microDICE OTF achieves a throughput of more than 7200 wafers per hour (single lane. The optical set-up relies on the industry-proven on-the-fly technology successfully used at 3D-Micromac’s laser structuring tools for processing of PERC cells. It guarantees highest productivity and an outstanding price-performance ratio. The laser processing is realized during the continuous transport of the cells under the laser source whereby the relative motion of the cells is automatically compensated for. Stops for the positioning of the individual cells are completely eliminated. The continual movement of the conveyor belt results in an almost 100-percent capacity utilization of the laser source. The microDICE OTF is a fully automatic 24/7 production solution and can be offered as stand-alone or inline system. As all 3D-Micromac production solutions the microDICE OTF is applied to meet cell manufacturers’ demands for achieving maximum throughput rates and yield while cutting cell manufacturing costs. The system guarantees very high availability through the use of a sophisticated efficient concept and high quality components. The standard procedure for cutting of full cells into half cells is a two-step process: laser scribing and subsequent mechanical cleaving. First the laser is scribing a 30-100 µm deep groove on the rear side of a solar cell. In order for the cell to break into two halves an additional mechanical force needs to be applied which adds up to the handling cost of the machine. The disadvantage of separating cells with this method is the resulting chippings and generation of micro cracks at the cutting edge. As a result we see a significant mechanical strength reduction (minus 30-40 percent of the separated half cell in comparison to the full cell. This can have a negative impact on the final module lifetime and efficiency in case initiated cracks caused by the laser scribing and mechanical cleaving process propagate any further on the separated cell. The TLS process does not require any additional mechanical breaking by external applied forces. It allows the ablation free cleaving to separate solar cells with a high edge quality. The process is based on thermal induced mechanical stress generated by a well-adjusted combination of a laser (heating and cooling (e.g. by sprayed Di-water. The separation by cleaving is a one pass-process. For giving the separation line a well-defined stating point a second laser is used. This laser initiates the cleaving by a small local scribe at the starting edge (only a few micrometer long and deep – not at the whole surface!. The microDICE OTF system is equipped with two industrial fiber lasers for initial scribing and TLS cleaving. Due to the on-the-fly processing laser utilization is nearly 100 percent. The microDICE OTF system is based on the successful microSTRUCT OTF system which is used for the Laser Contact Opening for PERC solar cells. Our customers can benefit from a proven platform which guarantees highest uptime lowest breakage rates and an unbeatable cost-benefit ratio. The cell cleavage with the TLS process itself does not reduce mechanical strength of solar cells. In contrast the separation with the laser scribing process leads to a significant strength reduction by more than 33 percent. In addition TLS is kerf less – no area is "wasted". The innovative PCBTOUCH system is a contacting jig consisting of an upper frame and a bottom plate. The upper frame is composed of a wire grid while the bottom plate is slightly convex topped with a printed circuit board (PCB. The top wires are either used to contact the upper fingers of busbarless cells or simply to hold the cell in place and guarantee good contact of the backside for back-contacting cells such as MWT or IBC designs. The flexibility of the PCBTOUCH solution allows the easy creation of a design that matches any cell backside layout. The patent pending PCBTOUCH contacting system is a unique solution that addresses the market’s need to contact back-contacting cells or any complex backside printing layout such as bifacial busbarless cells for IV/EL performance measurements. The PCBTOUCH uses a printed circuit board to back-contact solar cells in laboratory and industrial environments It can contact different cell technologies and layouts such MWT IBC and busbarless cells. Once the cell has been placed in the right position on the PCB it is pushed onto the upper wire grid which ensures good contact of the backside’s pads fingers or busbars and also holds the cell in place during the measurement process. This makes the use of a vacuum system no more necessary. Existing solutions for back contacting cells are all based on vacuum systems that are costly and only compatible with one specific cell layout. Even slight changes to the cell design require the purchase of additional units. Meyer Burger’s PCBTOUCH solution allows total compatibility with different designs and technologies simply by replacing the PCB. While the current existing solutions for contacting bifacial busbarless cells show limitations for some front and back finger configurations the PCBTOUCH is compatible with any parallel perpendicular 45° and interrupted configurations. Cell thickness is decreasing and the risk of damaging the cell with the contact pins is increasing accordingly. Meyer Burger’s PCBTOUCH solution uniformly distributes the pressure on the cell and enables contacting of much thinner cells. In the forefront of next-generation solar cell technology, crystalsol creates flexible photovoltaic film offering exceptional cost and versatility advantages versus traditional photovoltaic cell technologies. Its energy capturing films, either opaque or semi-transparent, may be integrated into windows, facades and rooftops of buildings as well as can be integrated into consumer products like mobile chargers, bags, clothing and motor vehicles of all kinds. The cells can be laminated with polymer foil for integration in structured facades or encapsulated in glass for higher stability. Due to the simple production process, the films can be tailor-made in shape and size. crystalsol’s solar cells generate electrical power cost-competitively within many end user markets. Last month crystalsol announced that it has successfully developed fully printed flexible solar cells using silver nanowires from Cambrios. Solar cells from the pilot production line at crystalsol are shipping into low volume consumer products. crystalsol expects large volume product shipment into building integrated photovoltaics market to begin in the near future. Crystalline silicon panels: Ongoing development of both multicrystalline and monocrystalline silicon cells requires continuous improvements in the wire. We are developing new products to meet the most stringent technological and market demands for all these applications. Thin-film panels: With the growth of thin-film solar panel markets, there are new requirements for both the wire and the connections between the wire and the thin-film module. Whether it is amourphous or ‘micromorph’ (microcrystalline / amourphous) silicon. CdTe or CIGS thin-films, we can provide the right solution for the module manufacturers. The Mobile PV-Testcenter was developed by a team of specialists with the expertise of MBJ Solutions the leading provider of EL testing equipment for module production. Over two years the first prototype was extensively tested specifically for the on-site examination. Now with the updated second generation Mobile PV-Testcenter 2.0 the measurement and test methods needed for an objective analysis of solar panels in the field have been improved. With our device insufficient output as well as hidden defects - like micro cracks inactive areas or hotspots - can be identified quickly and reliable on site. NEXTracker Self-Powered Tracker (SPT is first self-powered tracker. Unlike existing trackers requiring grid power to drive motors SPT’s breakthrough technology uses integrated solar power to move arrays. With perfectly balanced mechanical design very little power is required to rotate each tracker row enabling it to power itself using small dedicated PV panel (30W or less. This eliminates power and communications wiring to the tracker motors thereby reducing material & installation costs increasing performance & making each tracker row truly plug-n-play. This advancement dramatically simplifies tracker design installation & commissioning process. SPT eliminates costly backup power (UPS infrastructure needed for trackers in many jurisdictions it increases safety w/ much faster wind stowing. Existing trackers have unbalanced loads meaning lots of power is required to overcome the overturning moment created by the PV modules suspended above axis of rotation. Thus these systems are connected to grid via AC wiring. NEXTracker’s autonomous individual row power opens up creative operating strategies. E.g. when high winds are detected exterior rows move into wind defence position shielding the interior rows allowing them to continue tracking-increasing net energy yield. SPT is major leap forward in evolution in tracking systems–an exciting innovation saving time & money by bringing autonomous motor power and communications to each row. It requires no external power wiring (& associated trenching / installation tasks & no separate UPS (uninterrupted power supply backup systems. SPT advances are made possible by mechanically balanced design enabling independent tracker rows driven w/ ultra-low motor power. Single small dedicated 30W solar panel w/ battery backup easily powers 80 module row weighing 6000 lbs. Operation is faster & more precise w/ individual row feedback & control improving energy yield & safety w/ rapid stowing in fast changing weather conditions. Because SPT eliminates grid as power source for tracker there’s no parasitic energy loss. NEXTracker SPT technology is creative-leveraging mechanically balanced nature of NEXTracker’s platform. Due to NT’s unique bearing design (weight of module table is perfectly aligned w/ the axis of rotation very little energy is required to rotate the tracker. NEXTracker SPT is only utility-scale tracker w/ independent self-powered rows. It doesn’t require wired input power to motors. Has ability to stow different sections of array differently. E.g exterior rows can be stowed at different position than interior rows for increased safety & efficiency in various weather conditions SPT is only self-grounding tracker that eliminates separate grounding hardware. It’s fastest stowing of any tracker for safety in rapidly changing weather. Entire site can be stowed in 1-2 mins vs. up to 45 mins. for other trackers. Features 4-5x O&M efficiency: 160 panels can be cleaned at once vs. 20-30 panels. Numerous patent-pending design innovations enable accelerated construction reduced costs & repeatable outcomes. NEXTracker SPT & its experienced team of professionals deliver industry’s most innovative trackers–designed & deployed to ensure optimal reliability proven performance maximum yield & significant project IRRs. 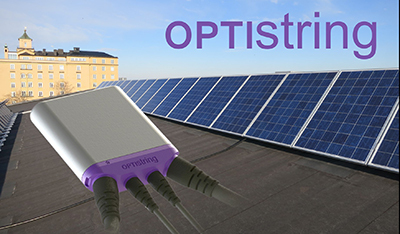 The Optistring inverter system is combining module level benefits with string inverter cost levels. Enabling module level energy optimization NEC compliant safety shutoff and monitoring all combined with an industry best in class efficiency of 99 percent EU efficiency and system cost levels competitive with string inverters. Optistring address the need for innovative BOS and electronics supporting the route to grid parity. The lower conversion efficiencies and higher cost of optimizers and micro inverters compared to traditional string inverters are limiting the growth of these technologies. With Optistring technology there is no need to choose between higher safety and yield and cost. The inverter system is based on a new innovative way of implementing energy conversion where complexity is shifted from hardware into software and control. With less complex hardware both the system efficiency and cost can be improved with at least a factor of 2 for both of them. Optistrings proprietary technology enable a step in inverter performance and cost. We are the first company bringing this technology and performance to the market through partnerships with major module OEMs we disrupt the business and give the module manufacturers the opportunity to act as systems suppliers instead of commodity module suppliers. RS1 from Renusol is the world’s first universal clamp for mounting photovoltaic (PV modules. The unique feature of the RS1 is its dual functionality. This means the RS1 can be applied as mid or end clamp. To switch between the mid and end clamp function the head of the clamp is simply turned by 90 degrees. The clamp is height adjustable and can be used for the most common framed modules in the market (30 - 50 mm module frame height. Installation and positioning in the mounting rail works single-handed. The RS1 can be moved in the rail smoothly and can easily be removed from the rail as well. There are an incredible number of different PV module mounting clamps on the market. All other producer of mounting systems have 2 or more clamp types in their assortment with a vast number of different article numbers. This is what it makes it difficult for the customer to figure out what is really needed for the single project or what is useful to keep on stock. Risks of false delivered items or alternate modules on site are existent. At the same time a lot of storage space is needed and there are high administrational costs in item management. The RS1 enables the installer to have the right clamp at hand no matter what happens. If a sudden need arises for more mid or end clamps than originally planned the clamp´s head is simply turned by 90 degrees. In the end the RS1 cuts the number of clamps down to a minimum leaving only minimal room for mistakes. Since only one component is needed instead of two planning ordering materials keeping a stock - in the warehouse or in the car - and mounting are all made noticeably easier for installers – saving time and money. 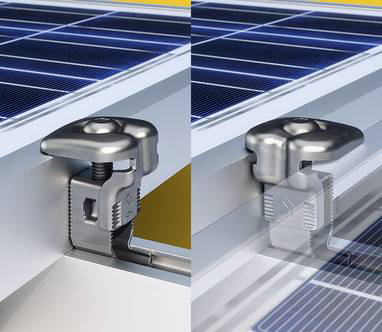 The standard in the solar market are height adjustable mid and end clamps which are capable of clamping framed modules between 30 and 50 mm frame height. By developing the RS1 we realized the idea of combining both functionalities of standard PV module clamps in one clamp so the RS1 can be used as mid- and end clamp. Furthermore we did apply materials which are not very common in solar mounting but which are well applied in automotive technology and other mature industries. Moving away from aluminium gave us the possibility to think in different ways and different shapes. Without that step towards high tech material the clamp could not be produced. Combining an innovative production process with innovate material and coating enabled us to create a design which was capable to deliver the needed functionality. SunLink’s Ballasted GMS requires no ground penetration, making it ideal for brownfields, landfills and other environments where soil composition makes pile driving difficult or impossible. With only three components, Ballasted GMS can be installed very efficiently. Optimized for the project environment as well as the tilt angle and module being used, the mounting structures, rails, ballasts, and fasteners arrive ready for installation with no onsite drilling, cutting or welding. The system can be installed using either pre-cast concrete ballast or ballast that are cast-in-place using off-the-shelf concrete forms. The low-profile, single-row design also simplifies assembly – allowing even a one-man crew to install it with ease. Intelligent rails and panel clamps auto-align and auto-space modules while providing integrated grounding to save time and reduce costs. To accommodate a wide range of conditions, thread studs allow levelling on uneven terrain. The non-penetrating design can be portable, making it ideal for agricultural land or leased land that may require system relocation at a later date. Stormwater pits are often the localised point for flooding. By converting the lid of a stormwater pit to a PV collector and batteries package then there is the immediate power to drive the pumps that divert the inflow flooding water to deep aquifer recharge below the stormwater pit. Power is also used to operate the UV LED disinfection of the water before entering the aquifer. The Stormbin System also includes appropriate debris entrapment bins to capture wastes like leaves sand wrappers brake dust fibre and solid pet wastes that head towards the stormwater pits when it rains. The same water pump system can also harvest water from the ‘water bank’ aquifer UV LED disinfect the water again and then distribute as potable water as part of a normal supply to the community. There are 40 million stormwater pits worldwide. Localised flooding is a big issue for communities. There is a worldwide need for water in quality and quantity to be more reliable in changing supply situations in these days of climatic variations on the environment. The Clean Water aquifer recharge & water harvesting system exploits the solar energy collection and battery storage over time to be available with some clout to drive the pumps to deal with potential flooding particularly flash flooding in an active and substantial way. The system also UV LED disinfects the water. The pump system can also be reversed to harvest water for normal use on demand. Street waste is also cost effectively collected in the stormbin system. Solar energy collection is often used within a few hours / days of its collection. In the Stormbin System the power delivery is optimised for localised high demand when the cloud burst happens and the flash flood impacts are threatening. And this may be in weeks or months. The water harvesting from the deep aquifer with UV LED disinfectant action can be a near-continuous power requirement that becomes part of the battery storage trickle charge / trickle discharge management system for optimised life of the system. In the stormbin bin cleaning away of the street debris that floats in it is also possible to check the battery condition and if necessary top up the solar power collection system if required. The new PIKO BA System is a combination of PIKO inverter with integrated energy management system and external storage. With this product innovation, KOSTAL makes a significant contribution to the optimisation of internal consumption. The energy management system integrated into the PIKO BA plays an important role: taking economic and technical considerations into account, it regulates whether the power generated by the PV system is used in the house, stored or fed into the grid. This means that energy consumption is no longer dependent upon the generation of solar power in terms of time. 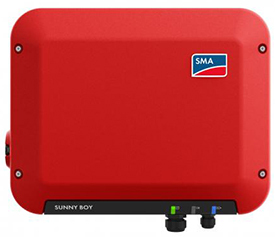 The new Sunny Boy is the perfect inverter for customers who want to take full advantage of their small photovoltaic systems. Among other features, it supports a high rate of self-consumption, has a wide range of applications and is very easy to integrate into a home network. In addition, its design, broad input voltage range of 80V to 600V and new communication concept offer advantages during installation and commissioning. Thanks to direct communication with the SMA Energy Meter, both limitation to 70 percent, which is required in Germany, and limitation to 0 percent is possible. The Sunny Boy 1.5/2.5 offers an inverter, which follows the current trend toward small PV systems in terms of technology. The innovative design of the Sunny Boy 1.5/2.5 is easy to install, and allows for quick DC and AC connections via plug and play. For example, 9 kg can be suspended from just two screws, with no additional wall mounting bracket. Commissioning is equally easy. Even when it comes to communication, the Sunny Boy 1.5/2.5 presents an innovation: The product engineers have translocated the entire display operation to mobile devices and PC. “The integrated user interface makes it possible to monitor system data on any smartphone or tablet,” explained Manz. Users can choose between local and online monitoring via Sunny Places and Sunny Portal. SolarReserve’s game-changing CSP technology with molten salt energy storage captures and stores the sun’s power to reliably provide electricity whenever it’s needed most. Thousands of tracking mirrors called heliostats reside in a circular mechanical solar collection field where they follow the sun throughout the day and reflect and concentrate sunlight onto a large heat exchanger called a receiver that sits atop a central tower. Within the receiver molten salt flows through the piping that forms the external walls absorbing the heat from the concentrated sunlight. The molten salt is heated from 550⁰F (288⁰C to 1050⁰F (566⁰C. Molten salt is an ideal heat capture medium as it maintains its liquid state even above 1050⁰F allowing the system to operate at low pressure for efficient and safe energy capture and storage. After passing through the receiver the high temperature molten salt flows down the piping inside the tower and into an insulated thermal storage tank where the energy is stored as high-¬temperature molten salt until electricity is needed. In a typical SolarReserve plant the tank holds enough in storage to dispatch ten to fourteen hours of electricity at nameplate capacity. SolarReserve’s technology leverages liquid molten salt as both the energy collection and the storage mechanism which allows it to separate energy collection from electricity generation. When electricity is required day or night the high-¬temperature molten salt is passed through a steam generation system to produce high-quality superheated steam to drive a standard steam turbine at maximum efficiency generating electricity. The steam generation process is identical to the process used in conventional gas coal or nuclear power plants except that it is 100 percent renewable with zero harmful emissions or waste. Once the hot salt is used to create steam the cooled molten salt is then piped back into the cold salt storage tank where it will then flow back up the receiver to be reheated as the process continues. To deliver reliable and cost-effective 24/7 baseload power SolarReserve is also developing CSP projects that integrate substantial PV into the design. The idea behind this concept is to reduce the overall LCOE by incorporating cheaper PV during the day and maximize CSP’s steam turbines during the night and peak demands. These ‘hybrid’ CSP PV projects can compete with traditional generation while providing emission-free and low water use generation. Balancing CSP with PV ‘inside the fence’ eliminates the intermittency issues associated with PV and combining the two technologies reduces overall delivered power cost. These baseload solar power plants can operate at a high capacity factor and availability to fully utilize transmission infrastructure. In Chile SolarReserve is developing fully integrated CSP and PV hybrid projects to supply power to the mining sector an industry that requires 24/7 power supply. 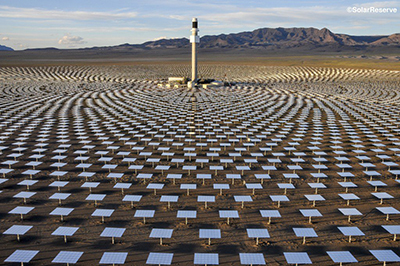 The Copiapó Solar Energy Project located in the Atacama Desert in northern Chile is a hybrid configuration utilizing SolarReserve’s proprietary CSP tower technology with molten salt thermal energy storage combined with PV. The Copiapó project will deliver over 1700 gigawatt hours annually at a highly competitive and unsubsidized price of power that competes with coal and natural gas plants to provide round the clock supply. The project’s more than 3.6 GW-hours of energy storage is the key to meeting the market demands. Alectris is a global service provider for the integrated care of solar photovoltaic (PV) energy assets. Honed in the mature solar market in Europe, the comprehensive suite of Alectris services reduces the risk and delivers maximum financial returns for solar investors and plant owners regardless of site location. Powered by ACTIS, the company’s award winning solar asset management and monitoring platform, Alectris provides a full service approach to solar asset protection, including solar operations and maintenance, asset management, check-up and diagnostic, engineering and improvement services. Performance excellence is the company’s mission, empowering it to re-define O&M and outperform client expectations. Solar asset owners entrust more gigawatts (GW) of PV power plants to First Solar than to any other company in the world. With over 3.5GW in operation and more than 5GW of total contracted capacity worldwide, GTM Research named First Solar the world’s leading provider of operations & maintenance (O&M) services for utility-scale plants. First Solar Energy Services says it can deliver the best return on investment (ROI) and account for the unique needs of every power plant owner, project developer, utility, and independent power producer (IPP). Identifying potential problems before they occur directly impacts energy production and drives increased profitability. Leveraging their extensive knowledge base, First Solar has developed the ADvise™ performance engineering service to promote early detection and resolution of subtle technical issues before they have a meaningful impact on the plant’s output. Using advanced technologies, rigorous processes, and expert staff, we continuously evaluate and fine-tune every PV plant component to maximize performance. For solar asset owners and investors that value predictability, First Solar Energy Services offers services that cover all operations and maintenance costs, including parts and labour. Plus, back this service with a fixed price, performance guarantee for the life of the plant. Currently ranked most bankable PV company by Bloomberg Energy Finance in a 2014 survey, First Solar has the strongest financial stability in the solar industry. Consistently maintaining a strong market cap and cash balance. Martifer Solar is a fully-integrated player in the global photovoltaic market focused on Asset Funding & Placement, Development, EPC, O&M Service and Trading. Supported by a proven track record and true worldwide presence, the company provides 360º turnkey solutions adapted to each customer’s individual needs. Our recognized capabilities across the entire value chain enable us to manage all phases of the solar development cycle, from market and site identification to the grid connection and subsequent plant operation. Martifer Solar is a Portuguese-based company with presence in more than 20 countries over 4 continents and has implemented around 670 MW of solar energy all over the world. There’s no question about it studies have proven most Americans agree that renewable energy is crucial to our future. In addition while electricity rates across the country continue to increase solar panels become more affordable and viable than ever. Yet at a time when green technology is gaining popularity and prices are decreasing many remain hesitant to take the first step toward solar energy fearing a complex time consuming and expensive process awaits. To avoid the headache of dealing with multiple vendors sustainability officers facility owners developers and power purchasers can simply join forces with a trusted partner – Panasonic Eco Solutions. Panasonic has developed a comprehensive integrated end-to-end solution that brings solar projects from concept and finance to installation and maintenance under one roof simplifying the process of going solar. As a “one stop shop” for going solar this solution helps organizations attain renewable energy – effectively and efficiently. Traditional solar models often require the involvement of different third-party vendors at each phase of development. From the start facility managers and Sustainability Officers must engage with one firm for concept another for financing yet another for installation and the list goes on. Partnering with multiple vendors causes solar projects to become disjointed and inefficient resulting in cost increases missed deadlines and frustration. In addition dealing with multiple contracts production guarantees and product warranties can cause worry about reputation and brand image. Sustainability officers facility owners developers and power purchasers don’t have to be burdened by the aggravation of dealing with multiple parties at each step of the solar process. The Panasonic Eco team facilitates solar projects at every phase of development streamlining the entire process and serving as a viable strategic partnership for a wide range of organizations. With Panasonic’s comprehensive integrated turnkey model organizations ensure solar success avoid unnecessary stress and save time and money. For a wide range of organizations Panasonic provides the solution they need to fulfill social responsibility goals and reduce utility costs. What is particularly novel or noteworthy about the product / process or innovation? We are the only company to bring all phases of solar project development from finance to design installation to maintenance under one roof backed by a production guarantee. And because of its reputation of reliability and financial stability Panasonic alleviates a customer’s worries about dealing with multiple vendors of questionable reliability stability and ability to cooperate with one another to complete projects on schedule and on budget. Trina Solar had a challenge. How to communicate the size and quality standards of Trina`s CH production facilities and show that production is of a high quality. Customer visits in China are costly, time intense and of high administrative burden and Trina cannot pay the visit for customers under the current anti-dumping regulation in Europe; thus customers interested in the factory or customers with doubts would have to be told to pay the trip themselves. Large project customers demand usually a factory visit to assure themselves of standards and automated production methods (note: audit results do not suffice, as customers want peace of mind). Due to budget cuts, the marketing team in Europe was forced to find a booth solution to the described problem but also a feature to be displayed at the year`s biggest exhibition. Brainstorming, the idea was born to create digital assets, mobile friendly and scalable to the entire organization to display marketing ROI, allow for a target group specific approach through sales in a personalized way and to excite customer with technology about technology. Together with Re`flekt, the idea was born to create a staged mobile concept, from an high level immersive factory overview, to augmented reality product presentation on a system level down to a digitally blended pure product presentation. In other words, we have focused to bring an otherwise dull product and invisible product process to life. The results speak for themselves: Booth visit increase-the busiest booth at the exhibition according to the expo organizer. At times, lines in front of booth to experience the tour. Customer satisfaction spiked in our expo concept measure by over 20 percent over last year Internally, praise and recognition from the CEO, CFO and almost all executive level managers, which in a Chinese rooted organization means a lot and enables Europe to further lead innovation within the organization Sales managers are now getting equipped with the headsets, many factory tours have been conducted with clients post the beta launch, making the tour now an integral and inevitable part of every f2f customer visit. JinkoSolar Smart Module optimized by Maxim pushes Maximum Power Point Tracking deep into the module; offering 100x more granular power tracking than string inverters and 3x more granular than panel optimizer technologies. The highly distributed MPPT architecture affords improved tolerance to shading, reduction in power degradation, and even enables denser system design on ideal unshaded rooftop and ground-mount systems. Panasonic Electric Works Europe announced earlier this year the launch of their N285 solar module, the latest addition to the company's high-efficiency HIT® product offering. Building on the success of Panasonic's HIT® N240 and N245 products, the N285 features a reduced module length designed specifically for the European residential and commercial rooftop markets. By integrating the company's high-efficiency HIT® technology into a shorter panel design, the N285's more compact size makes it possible to install an additional module row on a conventional small and medium size rooftop, thereby significantly increasing the output of a PV system. The high-performance module Q.PLUS-G4 is designed for all applications thanks to its innovative cell technology Q.ANTUM. The world-record cell design was developed to achieve the best performance under real conditions – even with low radiation intensity and on clear, hot summer days. Q.ANTUM technology supercharges ordinary crystalline solar cells and modules. Unlike expensive high-end solar modules, Q.ANTUM does not involve a complex new cell design. No special system components are required. Q.ANTUM delivers exceptional performance under real-world conditions. No PV system sees direct sunlight every minute of every day. So we designed Q.ANTUM to generate more power when the sun is rising, setting, or even behind clouds. But you’ll also see higher yields in the middle of hot and sunny summers — and during clear fall and winter days, when the sun is not as high in the sky. Because we decided to focus on all of the key determinants of performance, not just the ones that make our datasheets look good. We enhanced low-light performance, but also the output of our modules across a range of temperatures — all to bring you higher profits. The REC TwinPeak Series is a solar panel development that features innovative design with high panel efficiency, i.e., higher watt classes. Based on a polysilicon platform, the REC TwinPeak Series encompasses a number of new and innovative technologies that ensure the panel can compete strongly with mono p-type and n-type products on the market. The REC TwinPeak Series solar panel has an innovative layout and different cell technology that increases the power available from a polysilicon cell up to 275 Wp. In combination, the technology inherent in the REC TwinPeak Series delivers an increase of 10Wp per panel compared to REC’s current REC Peak Eenrgy Series panel. The most obvious difference in the REC TwinPeak Series compared to a standard solar panel is the cell design. The new panel is based on standard sized cells of 156 x 156 mm that have been cut into two equally sized pieces (156 x 78 mm), to give 120 half-cut cells. The panel is then split into two ‘twin’ sections of 60 cells each, connected in series, in three strings. The two sections are then connected in parallel in the centre to give a panel of 120 cells. Due to its numerous projects around the world, Phocos has a wealth of experience in rural electrification. In order to better service such projects on-site, an international network of holding companies and branch offices has been established. The CMLsolid charge controller is the next stage in the development of the CML series. The controller is equipped with a number of outstanding features such as an aluminium housing, USB port, battery status display, alarm, and electronic protection against reverse battery polarity and reverse solar polarity. The temperature-compensated, four-stage PWM charging algorithm (float-main-boost equalization) is adjustable for sealed and vented lead-acid batteries. The CMLsolid also allows either a SOC or voltage controlled low-voltage disconnect. Battery status is clearly indicated via three LEDs, with an alarm for signalling a low-voltage disconnect. Smart Modules which increase the energy yield by limiting the common power loss caused by shadowing. Critical module temperatures can be achieved if one solar cell operates in reverse bios of its IV curve. In such cases a power loss drop can be attained at the shaded cell which is followed by temperature increase. The temperature increases by operating the cell in reverse bios is defined as a hotspot. The hotspot is the maijor failor mechanism of solar PV modules. Thanks to integrated solar cell optimizers hotspots are eliminated in JinkoSolar Smart Modules- that increases energy yields up to 20% compared to standard modules due to shadowing. We are the only company offering 3 smart modules so our customers can choose which technology they prefer: Tigo Solaredge or Maxim- the described anti hot spot technology. Shadowed modules produce less energy. As it is impossible to avoid shadows completely,clouds can always appear they are a big problem. Our Smart Modules reduce this effect and can increase the energy yields up to 20 % in comparison to regular modules. Since shading is not a problem for smart modules it is possible to place more modules in a space. For example you dont have to work widely around chimneys. It is more efficient and looks better. The monitoring tools offer security. The OXIS Solar Centre for Autonomous Research (OSCAR) launched the Project Helios as a launch-pad for cheaper commercial solar energy right across the world. OSCAR is a specially built demonstration centre that houses OXIS' entire solar storage technology. The Project Helios demonstration comprises a 3.8 kWp solar PV power generation system which is fully integrated with a 3 kWh OXIS Lithium Sulfur battery. It has 16 PV panels which are connected in series to produce 600V DC and this feeds into the widely used SMA Sunny Boy Inverter to generate a 240V, 50Hz "mains" output. The inverter includes Maximum Power Point Tracking (MPPT) to ensure that the panels operate at maximum efficiency under all conditions of sunlight and temperature. The mains output from the Sunny Boy inverter is used to power both the charger for the driverless vehicle, the Meridian Navya and the SMA Sunny Island Battery inverter which in turn charges the OXIS Lithium Sulfur battery, storing the unused excess energy generated during daylight for use after dark. The Sunny Island and Sunny Boy inverters are currently configured in off-grid mode. However, when power is not available from either the PV panels or the battery, the system will switch to mains operation and take energy from the grid to ensure the loads remain powered. This off-grid configuration allows us to manage the loads connected to the system so that we can evaluate the performance of the OXIS battery under controlled conditions. The system can easily be reconfigured for grid connected operation where the battery is used to increase self-consumption. The single 48V 3 kWh OXIS Lithium Sulfur battery can be expanded to a total of four batteries, stacked and connected in parallel, providing a total storage capacity of 12 kWh, suitable for most domestic installations in Europe. For larger systems, where a more complex arrangement is needed, the 19" Rack Mount Batteries is recommended. OXIS Energy, founded in 2005 and based at the Culham Science Centre in Oxfordshire, has been at the forefront of developing lithium-sulfur battery technology. The company has invested heavily in design and development, and is now ready to move to the production of Li-S cells for a series of applications. OXIS has been granted 64 patents, with another 59 patents pending, in 21 patent families. PROINSO is a global leader in the photovoltaic industry, with extensive experience of systems integration in grid-tied, off-grid, storage and diesel hybrid solutions across residential, commercial, industrial and utility applications. The goal was product application and how Schneider Indonesia can support government policies to provide electricity to people in remote areas and islands where it is not easy to have access to fuel to fuel or electricity. With a combination of our products i.e Solar Charge Controller (XWMPPT60-150 Inverter Charger (XW6048 Combox for Monitoring and data Logger we offered a complete system to meet the needs of the customer for capacities of 15 to 75 kW. Solar Home Systems (SHS did not meet customer needs. Instead installing Central Systems were more reliable easy to maintain and have a longer life time. Our competitors also have Central Systems but with bigger capacity for one unit such as 15 kW and 20 kW and other products have higher battery systems such as 220 VDC up to 348 VDC. What is the advantage of our solution? We offer a modular system meaning our products are flexible depending on the size required. For example: 15 kW (3 x XW6048 for 20 kW and 25 kW (4 x XW6048 and for 30 kW (6 x XW6048. With a modular system it is easier to replace parts products are more reliable and the unit can be operated with smaller capacity with- out experiencing a black out on the whole system. The lower battery system (48 VDC also offer more safety for the operator especially for people with less knowledge in electricity. By offering the Combox for Monitoring the government can monitor the systems remotely. They can also integrate all systems in one monitoring solution. The features of the XW6048 inverter for Grid Interactivity has benefits for the future when connecting to the grid becomes available. Another benefit to the customer is Schneider Electrics presence in Indonesia with numerous branch offices and distributors making it easy for customers to communicate any problem and get after sales service. The innovative Steca Tarom MPPT 6000-M has been launched in response to the technological change sweeping the photovoltaic sector. Due to the falling price of modules the production of larger-scale off-grid systems continues to grow. In regions too in which due to the level of cost involved this had proven economically untenable in the past economically viable systems can now be constructed. The MPPT charge controller can be integrated both in off-grid and private consumption applications with considerable efficiency. Emerging lithium-ion batteries also represent new challenges for charging technology and in this respect too the new Steca Tarom MPPT 6000-M has already made headway. A self-explanatory graphical LCD illustrates key system information. A fully-fledged internal data logger as customary on StecaGrid grid-feed inverters records and graphically illustrates complete yield data over a 20-year period. Two separate independent inputs and MPP trackers and an input voltage range up to 180 V DC offer maximum flexibility in system planning. The device is the first charge controller to achieve a conversion efficiency of 99 percent as measured in field tests and verified by AIT. The newly developed innovative and comprehensive algorithms for charging Li-ion NiCd and lead-acid batteries are the key innovation of the Steca Tarom MPPT 6000-M. It is the first device to bring together all of these core functions into a single commercially available MPPT charge controller. With the Steca Tarom MPPT 6000-M it is now furthermore possible to determine the actual battery capacity in the field. The technology allows for enhanced battery care or for opportune battery replacement. As a consequence system integration professionals and battery manufacturers can offer battery warranties with respect to battery capacity.